Last Updated: December 4, 2018 | Subscribe to our weekly newsletter! If you’ve ever seen the classic 1939 film The Wizard of Oz, you probably think of Oz as either a magical dreamland or a shifty salesman with an ego problem. But it turns out Oz really does have wondrous powers—when it stands for “ozone,” that is. Adding an ozonator to your hot tub is easier than you might think, and can save you money, time, and frustration by reducing your expenses while keeping your water sparkling and healthy. Ready to click your heels together and get ozonating? Once you understand how your ozonator works, which style is right for your spa, and how to install and maintain it properly, it might just whisk you away to a new land of hot tub satisfaction. While it sounds like a frankly amazing modification to a hot tub balloon basket, a hot tub ozonator is actually a device used to generate and inject ozone gas into your spa water. Doing so helps scour impurities from the water and reduce the amount of chemicals you need to keep your hot tub running clean and serene. You’re probably familiar with good old oxygen, or O2. It’s abundant in our air supply, and our bodies need it to do fun stuff like transfer nutrients and, y’know, stay alive. Think of ozone, or O3, as oxygen’s burly big brother. This gas has serious sass. Ozone kills bacteria and other contaminants in your hot tub, even without strong chemicals. It has three oxygen atoms per molecule instead of two, and it’s a real social butterfly. It’ll attach itself to all sorts of gross and grimy contaminants in hot tub water, including lotions and potions like soap, makeup, cologne, sunscreen, and hair spray. It even tackles bodily fluids like saliva and urine. When used in conjunction with your regular hot tub sanitizer (e.g., chlorine or bromine), ozone helps kill pathogenic bacteria, germs, and viruses. That means you can use less sanitizer, cutting your spa spending while making your hot tub a happier place for anyone with chemical sensitivities. Ozone not only destroys microorganisms, but also breaks down harmful chemicals, and causes total dissolved solids to clump together for easier removal by your filter cartridge. You get cleaner and clearer water that feels smooth and silky on your skin. Because it’s so reactive, ozone also breaks up chlorine and bromine molecules that have bonded to contaminants. You won’t have to shock your hot tub as often, since the ozone frees up the sanitizers and allows them to be reused continuously. This can boost your savings even further. 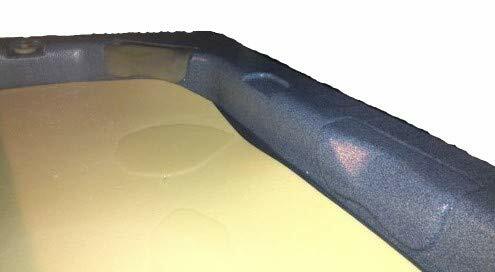 Note: Despite its many virtues, ozone’s reactivity can wreak havoc on the vinyl interior of your hot tub cover. Add a hot tub thermal blanket If you click this link and make a purchase, we earn a commission at no additional cost to you. , and you’ll not only protect your cover, but boost your energy savings by further reducing heat and moisture loss. It might seem like sorcery, but there’s no dark magic involved in making O3. Ozonators split oxygen molecules into two free oxygen atoms in one of two ways: intense ultraviolet (UV) light or by using what’s known as a corona discharge (CD) unit. When these freed oxygen atoms collide with existing oxygen molecules present in the water, they create ozone. Ultraviolet Light or Corona Discharge? While their functions are identical, UV and CD ozonators each bring their own set of pros and cons to the table. These bad boys are the OGs of O3. They use ultraviolet light to split oxygen molecules into free oxygen atoms that recombine with ambient oxygen to create ozone. They’re not as powerful as CD units, have a shorter functional life, and may cost more to run if you’ve got a large hot tub. Also, their bulbs inevitably succumb to solarization, or reduced UV output over time, and have to be replaced every two to three years to regain their ozone-making power. On the plus side, UV systems aren’t affected by ambient humidity If you click this link and make a purchase, we earn a commission at no additional cost to you. , and will produce ozone as efficiently in the swampy Florida summer as they do in an arid Colorado autumn. They’re also easier to clean than their CD counterparts. These models use much newer technology than their older cousins. The “corona” in “corona discharge” is a sheet of plasma created when a conductor is ionized by electricity. This purplish curtain resembles a halo or a crown (corona is the Latin word for crown). CD ozonators have a long working life, high efficacy and efficiency, and lower costs than UV units If you click this link and make a purchase, we earn a commission at no additional cost to you. . They can also handle much larger volumes of water, despite being generally smaller than UV models. They don’t have cartridges, chips, or bulbs to replace, and their plate ionizers can last as long as ten years. The drawback is that, much like static electricity, conductor ionization is hampered by high humidity. 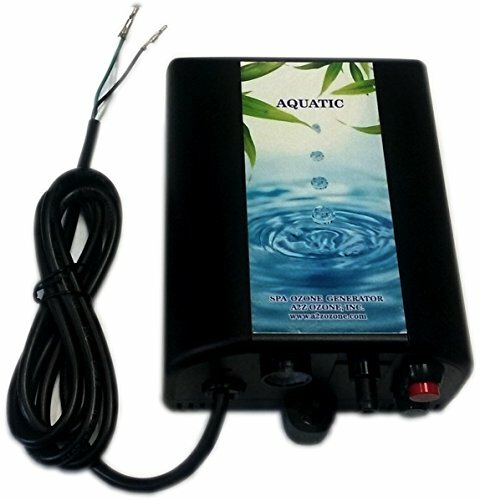 So if you live in an area with very high humidity (60% or higher) during the season(s) you’ll be using your spa, a CD unit might not be the best option for you. When Should You Run Your Ozonator? Depending on bather load (the number of people your hot tub using your hot tub, and how frequently), you’ll need to run your ozonator anywhere from 3 hours during a 12-hour period to 24 hours a day to see maximum performance. For best results, turn it on and leave it running, especially if you use your hot tub on a regular basis. You’ll find that many of today’s spas are sold as “ozonator ready,” which means they already have a hook-up for the unit of your choice. All you really need is your ozonator and a properly primed hot tub. Note: While adding an ozonator is straightforward for most, we recommend you consult a professional if you’re uncomfortable with installing hardware, don’t have time, or just want a little extra quality assurance. Water and electricity might be a recipe for success when making ozone, but it’s as bad for humans as it is Wicked Witches. Verify that your hot tub will accept an ozonator by consulting your owner’s manual. If there is room and a power hook-up for your device, you’re good to go. Determine the proper voltage (120v or 240v). Check your electrical system to make sure your timer works properly and your entire hardware system is protected by a ground-fault circuit interrupter (GFCI). Find and repair any leaks in your spa plumbing. Check the filters, and clean them if necessary. Drain your hot tub and fill it with fresh water to give your ozonator a clean start. Balance and sanitize your hot tub water. 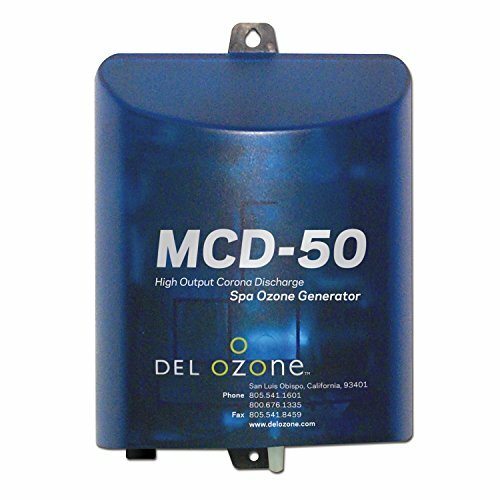 Remember: ozone reduces the amount of chemicals needed and improves water quality, but it won’t replace your sanitizer. Verify the plug type you will need to connect the ozonator to your hot tub’s control pack. Ozone-ready hot tubs usually have a small ozone jet near the bottom of the tub. This jet will have a water port, and an air (ozone) port. When no ozonator is present, the jet acts as a water jet only. You’ll often find a capped, clear, ¼” interior diameter (ID) air suction tube hanging in the equipment bay of your spa if it doesn’t already have an ozonator. You might be surprised by just how easy it is to add an ozonator If you click this link and make a purchase, we earn a commission at no additional cost to you. to your spa. Gather your courage, heart, and ruby slippers, and get to it. Physically install the unit under the spa cabinet or near the hot tub depending upon your tub and your setup. Mount the device firmly, and make sure it has plenty of room for airflow. If your hot tub has an ozonator jet, simply connect it to your unit. If not, you may need to do a bit of plumbing. Consult your hot tub manual (or hire a pro) before you proceed. Note: The check valve is designed to prevent water backflow from ruining your ozonator. After you connect your ozonator to your hot tub, cut the tubing at around six inches, and install the check valve. Remember, you want air to be able to travel from the unit to the spa, but water needs to be stopped before it reaches the ozonator. Attach the ozone check valve to one end of the vinyl tubing supplied with your ozonator kit. Attach the check valve’s other end to the hot tub’s suction tubing. Set the air (ozone) to flow away from the ozonator and toward the hot tub. The valve may have a directional indicator for easy setup. If it doesn’t, determine the flow direction by blowing into one end of the valve. Be extra careful with this step, as installing the check valve backward will keep your ozonator from working properly. Your check valve is the first line of defense against backflow destroying your ozonator. But you can add another layer of protection by arranging your ozone tubing into a special fault-protection configuration known as a Hartford Loop. Originally designed to protect steam boilers from failing if a line ruptured, the Hartford Loop protects your ozonator by keeping water from flowing into it. Create a Hartford Loop by looping the ozone tubing up as high as you can before you connect it to the ozonator. Make sure the loop of tubing is above the water line, and it will help prevent water from reaching your ozonator in the event of a line failure or other problems. Depending on your handiness and ambition, you can either plug the ozonator into a wall outlet for maximum convenience or hardwire it to your system so it turns on and off when you power on the main breaker for your hot tub. Important: Again, if you don’t feel comfortable performing electrical work, be sure to consult or hire an electrician if you want to hardwire your system. With your system installed, the only step remaining is to set the timers. Configure the timers on your ozonator and hot tub so the system turns on and off automatically so you don’t have to play watchman. For peak performance and efficiency, you may have to experiment with the run times of your ozonator based on your water quality and bather load. Start with three hours and increase it as needed. You’ve installed your system. You’ve powered it up. Oxygen molecules are being ripped to shreds like so many flying monkeys. All that’s left is to keep things running smoothly. Regular ozonator maintenance is easy. Ensure it’s making ozone, the ozone is reaching the hot tub, and your check valve is holding down the fort. No need for divination to see if your system is creating enough ozone—instead, test your hot tub water with ozone test strips If you click this link and make a purchase, we earn a commission at no additional cost to you. or a meter. You’ll get an instant snapshot of the ozone in your water, and adjust (or replace) your hardware or boost your run time accordingly. Like a farmhouse dropping on an unsuspecting sorceress, a faulty ozone injector can really put a cramp in your style. No matter how much ozone your unit’s generating, it won’t matter, because none of it reaches the water without a working injector. 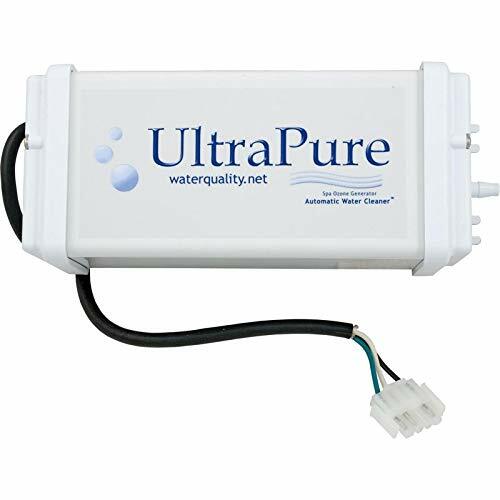 If you find your water has low ozone levels, check your ozone injector before you replace the whole system. Keeping water out of the ozonator is essential, and your check valve is a key part of preventing backflow from ruining your day. If this valve begins to leak or (eep!) fails completely, your hot tub could quickly destroy your ozonator. Make checking this valve a regular part of your hot tub maintenance so you can stop a leak before it starts. Most UV ozonators last between two and three years before they need replacement. In some cases, you might need to change a solarized bulb before the system itself needs a full replacement. CD ozonator plates can last for a decade, but be sure to keep it clean and run it when the ambient humidity is low for optimal performance. How will you know when to repair or replace? Check your water quality. 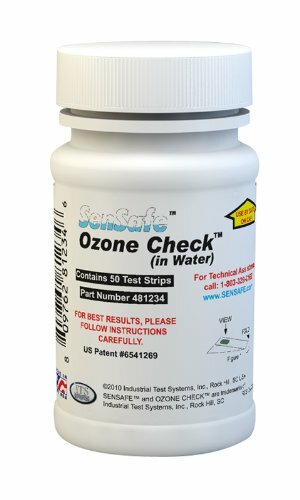 Use ozone test strips If you click this link and make a purchase, we earn a commission at no additional cost to you. or a test kit to help you identify problems with your ozonator and determine if it’s time for a new part or a whole new unit. Sure, you could settle for soaking without that mighty molecule we call ozone. You’d spend more on chemicals, and probably have to shock more often, too. Add in the stress of extra upkeep, and you might as well be living in a monochrome dust bowl farmhouse. Image courtesy SpaDepot.com. Used with permission.